The SmartChicago Sustainable Broadband Adoption program intends to spur economic development in five disadvantaged neighborhoods in Chicago with a comprehensive broadband awareness and adoption program that will include providing computers and training opportunities to more than 11,000 residents and 500 small businesses and not-for-profits. The project intends to create public computer centers at six community centers for working families and expand workstation capacity at four Business Resource Centers, as well as provide 1,500 residents and small businesses who complete a multi-session training course with laptops and netbooks. SmartChicago plans to conduct a citywide multilingual broadband awareness campaign that will reach an estimated 200,000 residents, including ads on radio, TV, print, and city buses; outreach by local community organizations in each neighborhood; and the creation of neighborhood-based Web portals. To spur economic development in five disadvantaged neighborhoods across the city, the City of Chicago’s Smart Communities program created the Business Resource Network (BRN), an initiative designed to help local businesses become sustainable, profitable entities by providing them free access to broadband, business software, and technology workshops. The BRN helps local companies acquire the broadband services, computer applications, and skills needed to succeed in today’s digital economy. Small and medium-sized businesses participating in the BRN first conduct a technology needs assessment, which helps them identify new computer resources and skills. Once needs are identified, these businesses develop an action plan and map out an approach and timeline for acquiring computer equipment and business training. Businesses then participate in workshops and one-on-one consultations on a variety of topics, including software training, business planning, marketing, and website development. Through December 2011, more than 180 businesses completed a technology assessment, 105 developed action plans, and 220 participated in workshops. For example, a local restaurant owner, who participated in the BRN, was able to increase his customer base by developing a marketing plan to promote the restaurant’s newly installed wireless Internet network. Additionally, a local resident received a raise at her job after completing one of the program’s Microsoft® Office classes. BTOP funding has also allowed the City of Chicago to create new jobs, hiring 17 full-time and 29 part-time staff for administration support and training. In addition to providing resources for small businesses, the Smart Communities program also offers resources to help community residents develop digital skills. Residents can participate in digital literacy classes, covering topics such as computer basics, Internet fundamentals, and online banking. 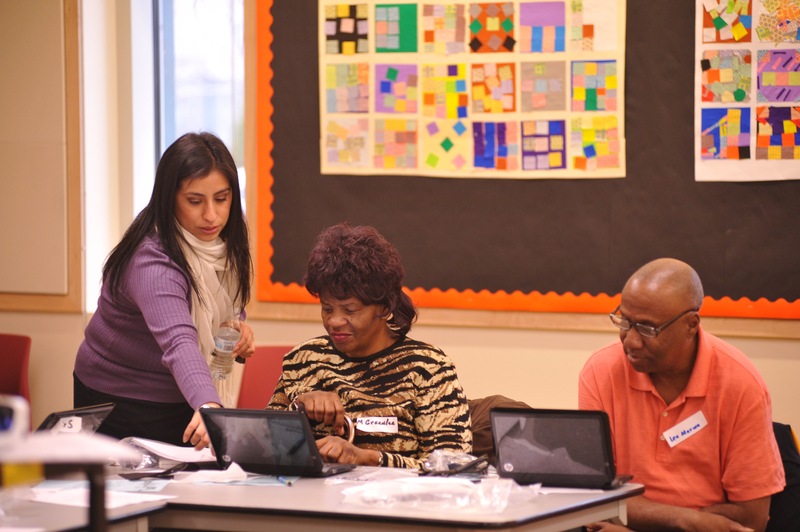 Through December 2011, nearly 10,000 Chicagoans participated in the program’s digital literacy classes.